Please note: Registration begins on Monday, May 6, 2019 at 10:00 a.m. Access to courses will not be available until May 6. The Toronto District School Board offers summer credit courses under the OSS curriculum guidelines. Course selections must be made in accordance with the Ministry of Education curriculum guidelines. Parents and students must consult with their day school guidance counsellor regarding course selections and pre-requisite courses. 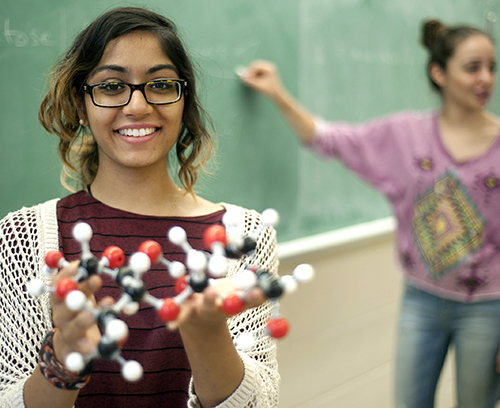 Adults wishing to enrol in summer school courses at our two adult high schools must have earned the pre-requisite in Ontario. Courses taken out of province or in Ontario prior to 2004 are not accepted as pre-requisites in summer school. The Toronto District School Board reserves the right to cancel or relocate classes. A preliminary list of cancelled courses will be available on the website on Thursday, June 13, 2019. Regular Credit Courses: Open to all high school students and adults with current pre-requisites. Students may take a new credit, or re-take a course previously taken to upgrade a mark. Remedial Credit Courses: Open to all high school students who completed the course during the 2018-19 school year and earned a final mark of at least 35% but below 50%. Students who have successfully completed the credit with a mark of 50% or higher are not eligible for remedial credit courses. There are several sites offering courses to high school students and adults under 21 years of age. High school students cannot attend courses offered at adult high schools. Adults over 20 years of age cannot attend any of the sites offering courses for high school students. There are 2 adult high schools offering courses for adults 21 years of age and older.. Please note: If you do not see a course at your location of choice, then choose an alternative location. The section is either closed or full. Reach ahead or catch up on high school credits. There are dozens of courses available in session 1: July 2-July 29th, 2019 or Session 2 July 17- August 16th, 2019. For details, visit: "TDSB e-Summer School"